Arsenal goalkeeper Petr Cech almost committed a howler during his side 2-0 home loss to Manchester City. The former Chelsea goalie was uncomfortable with passing out of the back as Manchester City pressed intelligently. 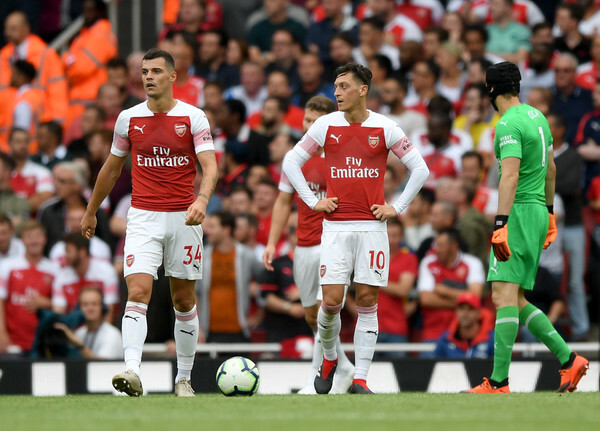 In the 21st minute, at 1-0 down, Young star Guendouzi under pressure from a City press played a pass to Cech, who tried to pick a pass but sliced the ball which almost resulted in an own goal. Cech has never been so good with his feet, while Emery is a fan of passing out from the back. Arsenal fans would wonder why Unai Emery named Cech in the starting line up with new signing Bernd Leno who is better with the ball at his feet on the bench.